Today, 30th July 2016, is the 49th anniversary of the home-calling of Arthur Stace. Remembered today as ‘Mr. 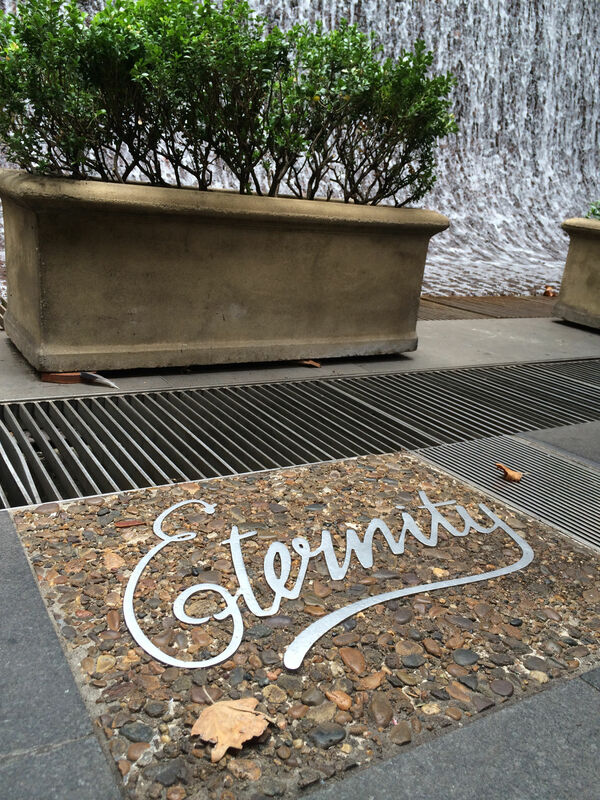 Eternity’, Arthur Stace committed his life to asking the men and women of Sydney to consider where they will spend eternity. His ‘one word sermon’ was written in yellow crayon on the streets of Sydney for three decades – until ill health prevented him. Stace was also a keen evangelist, and was seen on Saturday nights preaching from the Open Air Campaigners van parked on the corner of George and Bathurst Streets in Sydney. He was no eccentric, and there is no secret about his motives. He wanted men and women to place their trust in the Lord Jesus Christ. The 50th anniversary of Stace’s death, 30th July 2017, falls on a Sunday. The next year gives Sydney churches time to consider how they might use this anniversary for the eternal good of the people of our great city. Top photo courtesy Ramon Williams. Read more about Mr. Eternity here.